How did Arrow compare to the other “Arrowverse” shows (Flash, Supergirl, Legends of Tomorrow being the others) this year? 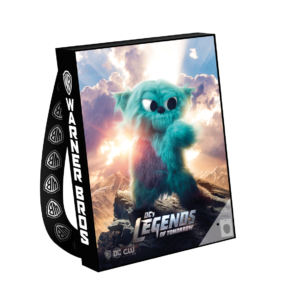 CRAIG: With Beebo as my witness, DC’s Legends of Tomorrow was by far the best of the four, and I feel that one is also the series with the most story potential. So, of course they have the shortest seasons, go figure! With that said, Arrow is still my second favorite, because Arrow will always have a special place in my heart. Even when the characters are fighting and on my nerves. MELISSA: Arrow is still my favorite even though I think I probably enjoyed Legends more. Legends’ finale alone edged it to the top even though I know it’s a highly imperfect show. Supergirl was improved this year and The Flash was better than its previous year, but still a mess. So I guess I have to go Legends, Arrow, Supergirl, The Flash. MATT: I had a tough time keeping up with the shows this year, save for Legends. The writing and plotting didn’t spark a lot for me, so I ended up dropping the shows midseason. Enjoyed Legends, but with The Flash I found it tough to pick the show back up after the season to finish it. Also, the split season on Supergirl didn’t do much to draw me back. I did think Arrow felt stronger and more consistent to finish the season than the others. STEPHANIE: I’m about 14 episodes behind on The Flash right now, so I’m going to have to leave that one out of the ranking. This season of Legends is at the top because it embraced the fact that crazy works for it. I enjoyed Supergirl until the mid-season break, so I guess I’d rank Arrow down alongside the second half of Supergirl. Some episodes of Arrow Season 6 were missing key characters that we’ve come to know and love. Was it good to see them get a break, or was not having them a problem? MATT: It worked for me because it helped to shake up some of the repetitiveness of the plot points. The cast is pretty large, so it’s hard to serve everyone, especially on a show that at its core has a central figure but also leans into being an ensemble series. I also think it added to the effect of the team splitting and going in its own directions. STEPHANIE: I didn’t mind it. A series in its sixth season has earned the right to develop characters outside of the few who’ve been there since the beginning, and sometimes it’s needed when a bunch of newbies join around the same time. MELISSA: I don’t begrudge any season regular occasionally getting an episode focused on them, but I didn’t like it when that translated to reducing the leads to mere minutes especially when there was so much story that needed to be told. “The Dragon,” where Oliver appeared for a total of one minute and thirty-five seconds was most egregious in this. It came right on the heels of “Fundamentals,” a stellar episode that ended with Oliver deciding to work completely on his own, something that badly needed explaining. 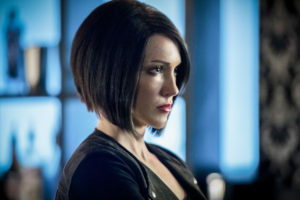 Instead of following up on Oliver’s puzzling but potentially deeply interesting choice, any momentum the back half of the season had going was derailed so we could watch Black Siren go on a ride along with Diaz as he pondered the dragon inside of him and collected on old grudges. I didn’t like this episode for what it was or when it happened during the season, but even if it had been a well-executed character exploration, it should never have happened at the expense of moving forward the main character’s story. CRAIG: I had an especially big problem with this in “The Dragon” which gave us very little Oliver Queen until the final minutes of the show. With no offense to Kirk Acevedo the actor or the Ricardo Diaz character, I’m here for a show called Arrow, not “The Dragon.” But beyond that, I felt like there was a stretch where Diggle and/or Felicity were also missing for most of if not all of the episodes, and that’s just kind of uncomfortable. “Uncomfortable” might have been the intention of the show, but these are the ones that we tune in for every week.